If you know a little kid with a big imagination, we’ve got some great handmade gift ideas! Create play toys and accessories for your favorite superhero, or accessories for a little one’s favorite doll or stuffed friend. As an added imagination bonus, we’ve included tutorials for making the perfect playhouse or hideout! 1. Pretend and Play Diaper Bag tutorial from TwelveCrafts. 2. Handmade Baby Doll Bib tutorial from Crafty Cupboard. 3. Make Your Own Dolly Diapers from Riley Blake. 4. 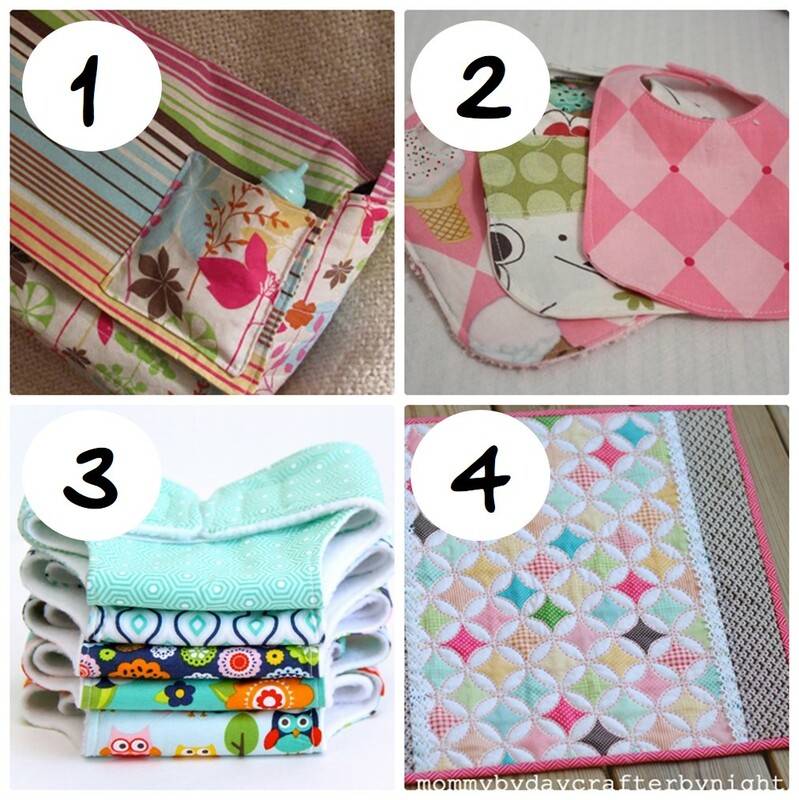 Darling Doll Quilt tutorial from Mommy By Day, Crafter By Night. Your little one won’t leave home without dolly with a sweet carrier. 5. 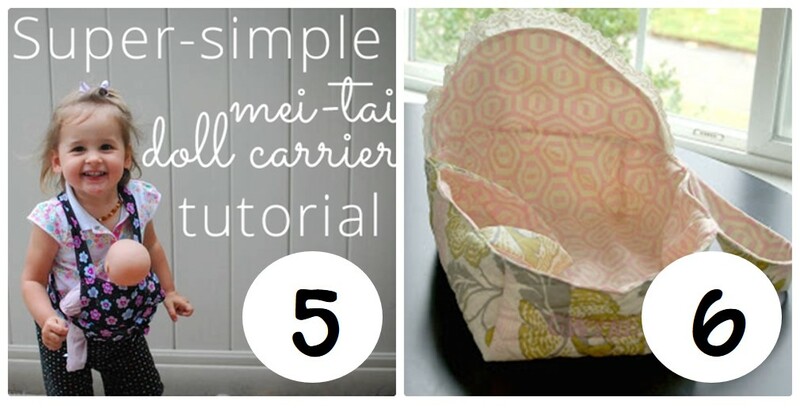 Mei-Tai Doll Carrier tutorial from The Art of Simple. 6. Sweet Baby Doll Bassinet tutorial from Nothing Fancy. 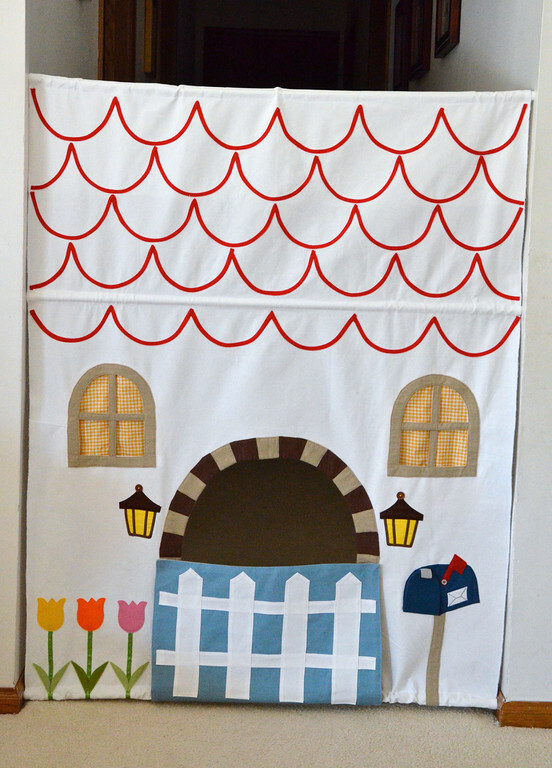 If dolly needs a playhouse, check out this tutorial that turns any doorway or hallway into an instant imaginary home! Find the tutorial at Ikat Bag’s House in our Hallway post! 7. 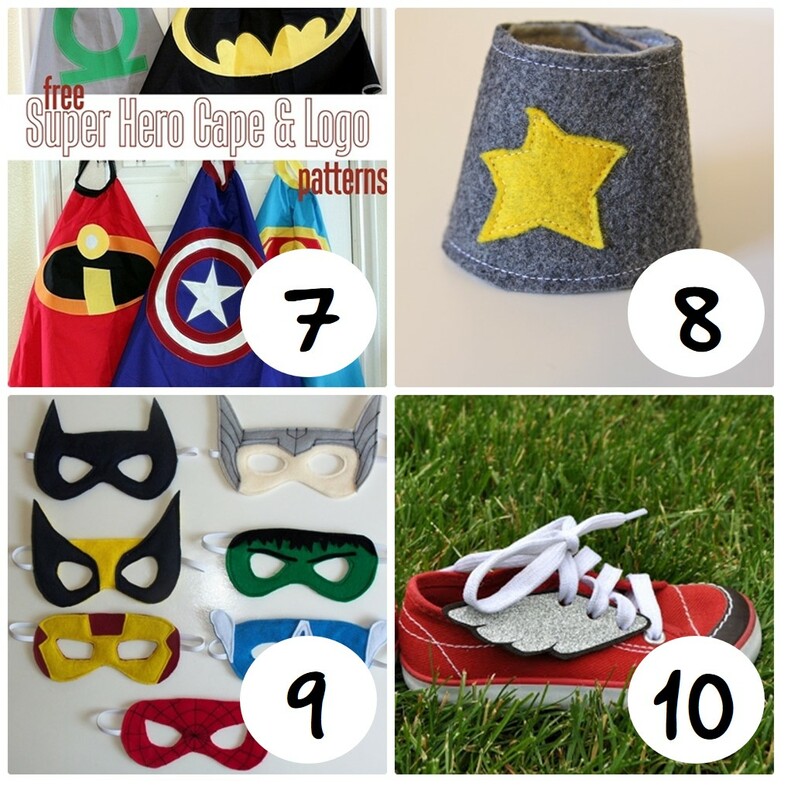 Superhero Cape tutorial and downloadable logos from Vanilla Joy. 8. DIY Superhero Cuffs Tutorial from Andrea’s Notebook. 9. Superhero Masks tutorial form Cutesy Crafts. 10. Superhero Winged Shoes tutorial from I Am Mommy. Every superhero needs a way to hide their super-secret identity, right? 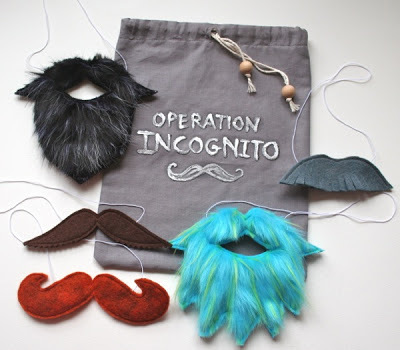 Use the Operation Incognito tutorial to make a bag of handy disguises from mmmcrafts. And, every superhero also needs a secret hideout. 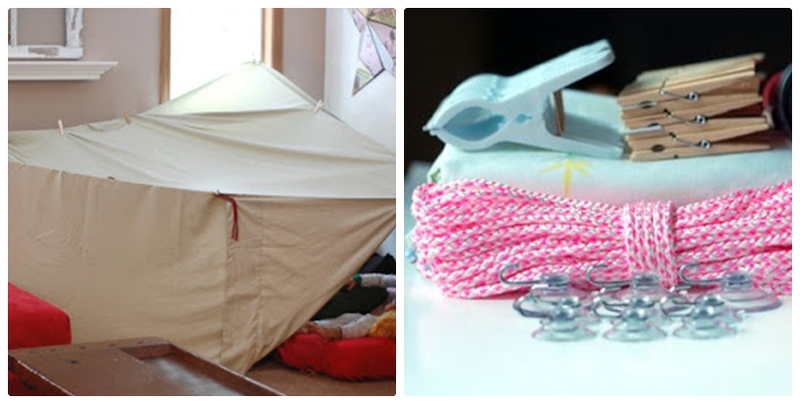 Make a custom Fort Kit with this tutorial from Saltwater Kids, and customize with colors that match your favorite superhero. Previous Previous post: Happy Thanksgiving from WeAllSew! Great Ideas. so many options and ideas come to mind.